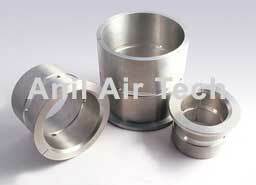 Steel bushing are used in Air Cooled compressors which is readily available for immediate shipment. 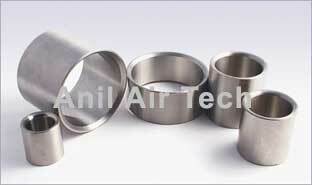 The same is properly heat treated, maintained tolerances with internal & external grinding and smooth& shining surface. Internal surface will match the dimension of crank pin with easy hand press sliding & external surface with big end of connecting rod for easy assembly & for long life. These Main Bearing Bushing & Crank Pin Bushing are full floating bearing bush & are used on forged crankshaft for water cooled unit. 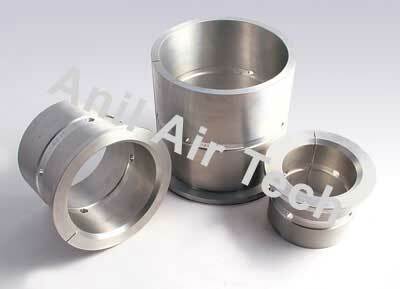 Our aluminium Main Bearing bush is in one piece with axial cut and are capable of carrying both radial & thrust load. Crank pin bush (two halves) Is a precision bushing which requires no adjustment. 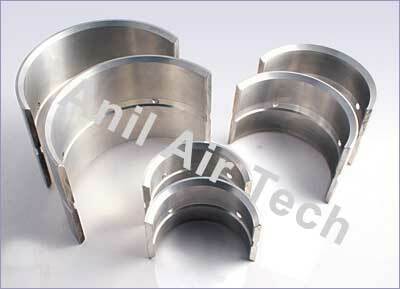 The above bearing Bush are made from perfect composition with aluminium ingots, heat treated & complete machined with groove in center & drilled for making oil film for perfect lubrication & maintaining correct oil pressure.